Drive knowing the adorable BB-8 droid, from The Force Awakens, has your back. 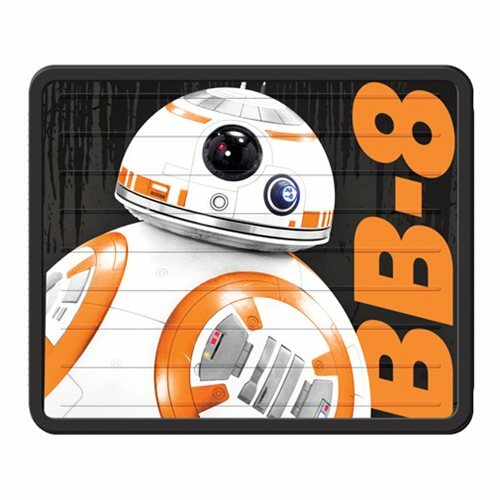 Show off your individuality while protecting your car's carpet from dirt, mud, and grime with this Star Wars BB-8 Plasticlear Utility Mat. Handmade with heavy duty materials and molded in deep colors, these utility mats will wow you with their craftsmanship and resilience. Easy to clean, these mats have a fully nibbed backing to prevent slippage. Comes with one 17-inch x 14-inch mat. Ages 14 and up.